Do you wish to succeed in life? Don’t boast about your own merits and future plans. It is God who ultimately decides. He alone can lift you up or bring you down. Unless it is God’s will, the best-laid goals and strategies will come to nothing. The Bible tells us to pray about everything, acknowledge Him in all our ways, and commit all into God’s hands. If our concepts and preparations are unsuccessful, rest assured that they were never meant to be. Trusting God means that He has to have the last word in whatever we do, because He knows what is best for us. How arrogant and contriving it is for us to leave God out of our plans! How vain it is to look for any thing good to turn out without God’s blessing and guidance! We can rest assured that God loves us and wants to bestow the best gifts. But not everything we contrive is the right course of action. We must ask ourselves, “Is this just a good idea, or is it a God idea?” Every good and perfect gift, blessing, and promotion comes from above, from the Father of lights, with whom is no variableness, neither shadow of turning (James 1:17). There is a God, and a divine plan for us, and things happen not by chance. Men forget that all things are ordained in heaven. The Lord reigns evermore. He puts down one, and sets up another. He is at work behind the scene of our lives. The foolish dream that He is not, but He is near even now. Pray and patiently wait for things to come to pass, not in our own timing, but in His. 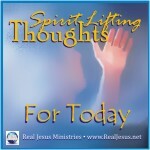 Categories: DAILY INSPIRATION | Tags: God's will for us, PRAYER, Promotion, Psalms 75, Success, Trust | Permalink. Many times as I sit down to write these inspirational messages, I have no idea what I’m going to say. I study the Bible, pray and ask God to speak through me, and by faith the words begin to flow from my mind unto my computer. Afterwards, people will hit the “Like” button or email me that the message touched their hearts and came to them “at just the right time.” I cannot take any credit for this since it was God who obviously directed the whole thing. He gave me my message, and placed it in the right place at the right time, for someone who needed to hear it. God wants to use you too. As you humbly make yourself available in God’s service (whatever area that may be), He too will direct your paths. Do not measure your success on how precisely you accomplished your task or how eloquently you delivered your speech, but by what God did through you. Simply pray and make yourself available for God’s anointing to rest upon you. He will do the rest. God can do great and mighty things through the humblest person who trusts Him implicitly, and allows His divine Spirit to direct their paths. Heavenly Father, I trust you completely with my life. Guide me everyday in the paths that I must follow, and use me to be a blessing to others. In Jesus’ name, amen. Categories: Let God speak through you | Tags: availability, Bible, Devotional, Divine Spirit, encouragement, Faith, God, Jesus Christ, Messages, Messiah, PRAYER, Preaching, Proverbs 3:5-7, Service, Spirit-Lifting Thoughts For Today, Trust, Word of God, Writing, Yeshua, YHVH | Permalink. God’s blessings sometimes come to us in obvious ways, other times in not so obvious ways. Obvious ways would include personal health, happiness, and provision, the love of family and friendships, the enjoyment of art and music, the beauty of nature. But did you know that God’s blessings also come in unexpected ways? I like to call them “Divine Surprises,” since you never anticipated them. Even difficulties and adverse circumstances are God’s blessings in disguise. He promises to make all things work together for our good (Romans 8:28). We must not even hold on to our plans too tightly; our heavenly Father (who always does what’s best for us) may change things around a bit. He may surprise you with something better than you had planned! Trust Him implicitly. Dear heavenly Father, I thank you for every blessing in my life today – those that I expected, as well as those that I didn’t, for I know that Your ways are not always my ways, and You always do what is best for me. I trust You implicitly with my life, Lord. Continue to bless me and surprise me in any way you see fit in your perfect wisdom. In Jesus’ name I ask, amen. 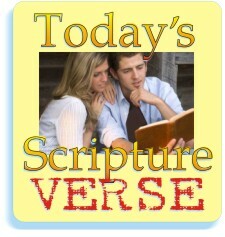 Categories: Divine Surprises | Tags: Adjusting Plans, Adversity, Bible, encouragement, God, Isaiah 55:8, Jesus Christ, Life, Messiah, Roman 8:28, Spirit-Lifting Thoughts For Today, Submission to God’s will, Thankfulness in all things, Trust, Unexpected Blessings, Word of God, Working for our Good, Yeshua, YHVH | Permalink. Can God can use a a man born without arms or legs? Yes He can! Nick Vujicic shows the world how to live a life without physical limitations. “My name is Nick Vujicic and I’m 31 years old. I was born without arms or legs and given no medical reason for this condition. Faced with countless challenges and obstacles, God has given me the strength to surmount what others might call impossible. My book, “Life Without Limbs” is all about sharing this same hope and genuine love that I have personally experienced with people all over the globe. It’s been said that doors open to a man without arms and legs much more easily than to anyone else, we thank God for providing that privilege. I’ve been invited into very unexpected places to share about my faith in Jesus Christ and literally millions have responded. Traveling extensively to over 54 countries and still counting, I have been extremely humbled by the continuous opportunities that the Lord has given me to share my testimony. My greatest joy in this life is to introduce Jesus to those I meet and tell them of His great desire to get to know them personally by allowing Him to become their Lord and Savior. That’s what Life Without Limbs is all about. Categories: TESTIMONIES OF FAITH | Tags: encouragement, Faith, God's Plan for Our Lives, hope, Jeremiah 29:11, Jesus Christ, Life Without Limbs, Messiah, Nick Vujicic, Overcoming Handicaps, Physical Challenges, Psalm 139:13-14, Trust | Permalink. Categories: WORSHIP VIDEOS | Tags: Comfort, encouragement, Faith, God, Jesus Christ, Messiah, Trust | Permalink. The original Hebrew word for “minister” is sharat (pronounced shah-raht). It means to wait on, to serve, to attend. To sharat (minister) refers to the tasks to which the closest servants of a king are assigned. It is a great privilege to be appointed to be a close servant of a king, for it demonstrates a high level of trust and esteem on the part of the king towards the servant. Categories: Bible Word Studies | Tags: 1 Chronicles 15:2, Levital Priesthood, Levites, Minister, of a king, privilege, Servant, Servanthood, Sharat, Trust | Permalink. Just about everyone has seen the “Number One Fan” foam rubber hand that people wave excitedly at football games to show support of their team. 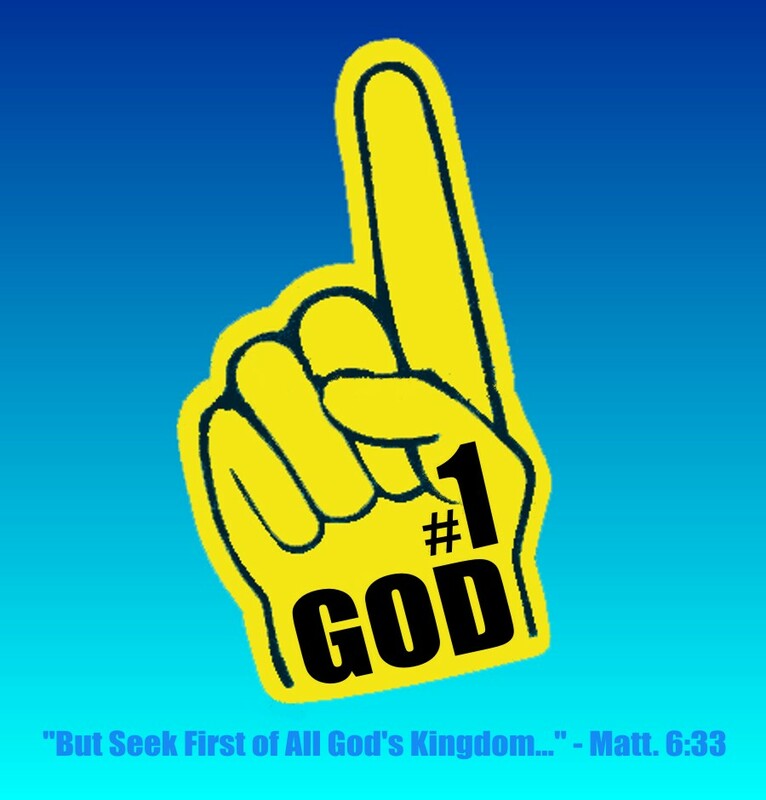 I wish someone would manufacture one that says, “God Number One.” It would be a continual reminder for us that our God is in first place in our lives. He alone deserves our first place of worship, and first priority in all of our plans. I recently traveled out of town for a few days and spent much of the time writing, teaching the Word of God, witnessing about Jesus, visiting the sick, and praying for people in need of physical healing and healing of broken hearts. I was amazed how many doors of opportunity the Holy Spirit made available to me to be of service to God and help others. Even in the course of taking public transportation – buses, metro rails, and trains, I had many divine encounters. One of the reasons this trip was so fruitful, I believe, is because I made the work of God my number one priority. It was exciting and fulfilling, to say the least. The sin of idolatry is not just a matter of worshipping other deities or graven images, it can also include the worship of other people or things in life that take priority in our hearts over God. For example, it’s a wonderful thing to love your husband, or wife, or children, but it’s more important to love God first and foremost. Or. when advancing your career, or making money, or any other goal in life becomes more important than fulfilling the will of God, you’re committing the sin of idolatry. We must be careful to guard our hearts against idolatry, for as the heart goes, so goes the whole body, with disastrous results. The sin of idolatry begins with the heart and mind; that is where we must battle temptation on a daily basis. We need to keep Jesus “number one” in all our plans, decisions, and devotion – everything else must come second. He must be Lord of all, or He is not Lord at all. Dear Heavenly Father, I love You and worship You today with all my heart. Help me to always keep you in first place in my life. Show me how to seek, first of all, Your kingdom and righteousness in all my plans, decisions, and relationships. Keep me from the sin of idolatry, and show me if there is anything in my life that is not prioritized properly so that I can correct it. In Jesus’ name, I pray, amen. Categories: GRACE FOR TODAY | Tags: 1 John 5:21, First Place, Give God First Priority, Heart, Jesus, Lord, Matthew 6:33, Mind, Righteousness, Seek First the Kingdom of God, Trust | Permalink.